It seems like everything from the 80s and 90s is getting a revival these days – from Full House to The X Files to Jem and the Holograms (although that didn’t go so well). There’s a rush of nostalgia going on right now, but it seems different to us millennials because it actually pertains to us. Instead of wearing 70s-inspired bell bottoms when we were in 7th grade, now we’re the ones who are rocking daisy print baby dolls dresses and jelly shoes. Yeah, I feel old too. In addition to fashion and entertainment, kids’ toys also somehow make a comeback, with things like Easy-Bake Ovens (which are weirdly futuristic looking now) and Puppy Surprises reappearing. In fact, the Puppy Surprise, you know that stuffed animal that’s holding an unknown number of baby puppies in its velcro sack, made a return last year, and it was so popular that the company had to stop airing commercials because the demand was so high. Easy-Bake Ovens and Puppy Surprises may have been coveted in the 90s for Christmas, but they’re just as coveted in 2015, too. To make you feel even older, here are a bunch of other toys from our childhood that I would’ve died for as a tot. Or maybe wouldn’t even be mad about seeing under the Christmas tree as an adult. We can all thank Home Alone 2: Lost in New York for this gem. The one Kevin McAllister uses was only a prop, but a letter-writing campaign by young fans begging for a real version to be made was launched, and a year after the movie came out, Tiger Electronics finally made a real one and it became one of the most wanted toys for Christmas. Not to brag or anything, but I totally had one. Not even the Talkgirl – the OG silver version. I wasn’t as cool as Kevin. I was one of those weird kids that loved those invisible ink books or having things that had secret compartments, so the Sally Secrets doll was a GD dream. In her shoes, there was a stamp and stamp pad, by pressing a button, stickers would come out of her belt. Genius. That’s why her body is so thick – it’s full of secrets. Is the rise and popularity of NASA in the 90s a direct correlation to the necessity of Moon Shoe toys and grand prize winnings to go to Space Camp from Nickelodeon game shoes? I’m not gonna lie to you guys. It’s the holidays. I not only had one Tamagotchi – I had two. AND a GigaPet. 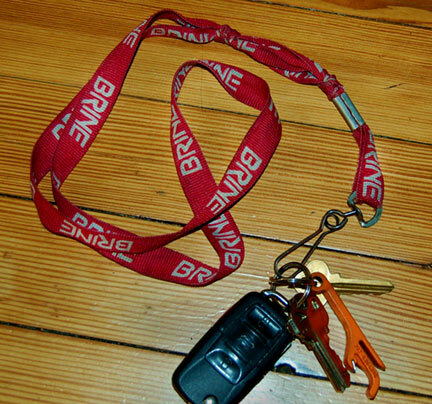 AND I held them all on this super cool, trendy, not nerdy at all red Brine lanyard. Honestly, how did I make it through my youth? Like the Tamagotchi and Talkboy, I’m starting to realize that the trend for 90s toys was primitive technology. The era was when we, as a world culture, were getting into things like the Internet and computers instead of typewriters. So when we upgraded from paper diaries to electronic diaries, it was a huge deal. And one that had a recording device on it? Forget it. Anyone can tell you that if you had a Teddy Ruxpin, you were one lucky kid. I feel like these talking bears were super expensive, and a lot of that had to do with the cassette tapes that came with it. Too many accessories. But did anyone else find him creepy? No? Just me? Story time: In 1995 (20 YEARS AGO HOLY CRAP), I spent my Christmas with my family in the Philippines for the first time ever. Like any nine year old, my memories of this vacation is fairly vague, with a few standout moments in my brain. One of them is opening presents my parents (or Santa?) brought with them from America for me to open in the Philippines. One of which was a Pog maker, as seen in the well-made commercial above. Looking back on it, I must have seemed like the spoiled American to all my cousins who were like, “What is this product? I got a shirt from Santa.” Like, what a douche. Here we are again with the primitive technology – except maybe Hit Clips were more of a Kidz Bop version of teens and their CDs. I had both the portable clip and the boom box, and only like 3 songs (2 BSB, 1 Britney) and if I’m remembering correctly, they didn’t even play the whole song? Or there was an option to only play a ‘clip’? IDK all I know is that it’s still in my bedroom at home, even though they don’t work anymore. “Fly for me, just for me… Come to me, dance for me, Skydancers fly for me!” Why are these girls so demanding? ?